When you're shopping for a full-blooded pickup to take to the Naperville jobsite, only a new Chevrolet Silverado will do. It takes the hard-working legacy of Chevy trucks and improves upon its brash performance and overall capability. Car and Driver says, "After 100 years of building pickups, Chevy's formula is nearly perfect," and The Car Connection praises its "strong engine choices." Explore our range of Silverado 1500 trims, bed lengths, engines, and more. Why Buy a New Chevrolet Silverado at Chevrolet of Naperville? 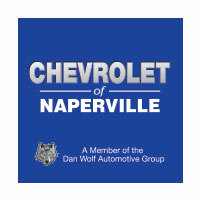 If you're looking for a new Chevy Silverado for sale near Bolingbrook, IL, Chevrolet of Naperville can help. We offer low financing rates and trusted new Chevy service. Apply for financing online to get pre-approved for an auto loan in minutes. Any questions? Contact us online today or schedule a test drive to experience the Chevy Silverado firsthand!